Crooked Lettaz f/ Pimp C “Get Crunk” Grey Skies 1999 Long before “crunk” became a part of mainstream America’s vocabulary, David Banner and Kamikaze gained local notoriety with this Mississippi classic produced by (and featuring) Banner’s favorite rapper, Pimp C. David Banner f/ Bonecrusher “Lil Jones” Them Firewater Boyz 2000 Banner teamed up with Bonecrusher for another underground favorite. David Banner f/ Lil Flip “Like a Pimp” Mississippi: The Album 2003 This simple but effective collabo was recorded in 15 minutes. David Banner “Cadillac on 22s” Mississippi: The Album 2003 Banner’s letter to God: “I know these kids are listenin’ / I know I’m here for a mission / But it’s so hard to get ‘em when 22” rims are glistenin’.” David Banner f/ Scarface “The Game” MTA2:Baptized in Dirty Water 2003 A hidden gem on the rushed MTA2, Banner shows his diversity by singing the blues while ‘Face spits the real. like Them Firewater Boyz Vol. 1 hand-to-hand and through his website. Banner gained a reputation for personally delivering online orders to his customer’s front doorstep. Even more than the music, it was this one-on-one personal connection that left an impression on his fans. Constantly striving for the spotlight, he tried other routes to fame, including a homemade audition for MTV’s The Real World which displayed his two passions: music and firearms. While honing his skills as a rapper and developing his unique flow, he learned how to “ghetto rig” studio equipment. Using his production skills to survive, he lived in his Astro van, cruising every Southern interstate imaginable to sell tracks to indie labels. Through his travels, he developed relationship with other new artists like T.I., Lil Jon, and Bonecrusher, and caught his first big production break with Trick Daddy’s “Thug Holiday.” Banner soon landed two tracks on Lil Flip’s platinum Undaground Legend. When Banner’s van/studio was stolen while he visited a Birmingham radio station in 2002, it was a devastating loss. Fortunately, the thief had thrown out his masters nearby, and he was able to salvage some tracks - including “Like a Pimp,” which less than a year later landed him an unprecedented deal with SRC/Universal worth a reported $10 million. He reflected on the incident to the Clarion Ledger in 2003: “You know where I was when I signed my deal? Birmingham — the same town where my van got stolen. I was driving through there when they called and said the paperwork was ready. They faxed it to me at a Kinko’s. God was just testing me. [Both of those things happening in the same city] was no coincidence. God said, ‘I’m gonna strip you of everything to see if you’re worthy of the blessings that I’m gonna send your way. 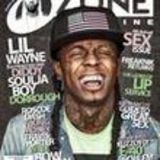 And if you believe in me and stay constant to my will, then I’ll give you everything you want 10, 20, 30-fold.’ Another lesson learned.” Borrowing from the region’s blues and rock influences, he might even be labeled a “conscious” rapper if it wasn’t for his thick country drawl. Amidst the pimpin’ and woodgrain-grippin’, Banner often explores deeper subject matter. Always precocious (his third-grade standardized tests displayed college-level reading skills), he was not only intelligent but popular in college. While serving as SGA President at Southern University, he once debated then-Vice President Al Gore. Political issues were a significant theme on his second major release, MTA2: Baptized in Dirty Water, as Banner openly criticized the war in Iraq. With his experiences growing up in Mississippi, a state with a long history of racial conflict, Banner morphs into the Incredible Hulk at the mere mention of the word “slavery.” Fortunately, he’s able to unleash that anger into thought-provoking tracks. More mellow songs like “Cadillac on 22s” explore the questions of basic human nature – life, death, love, family, and God – with a raw, vulnerable honesty. Still, politics and spirituality don’t generally translate into record sales. It took a simpler message – “Real guls get down on the flo’, on the flo’” – to propel Banner into the national spotlight. His addictive beat and catchy hook coupled with Lil Flip’s vocals helped “Like a Pimp” become one of the surprise hits of 2003. Almost overnight, Banner became officially famous with the back-to-back releases of Mississippi: The Album and MTA2. He was carrying the state on his back – literally. Suddenly, it became cool for rappers to shout out the state which Banner once angrily referred to as “the place which y’all don’t mention in y’all songs” (see Nas and Olu Dara’s “Bridging the Gap” and T.I.’s “Tha King”). A&Rs rescued small-town Southern demos from their trash bins, and other Mississippi rappers got signed to major labels. 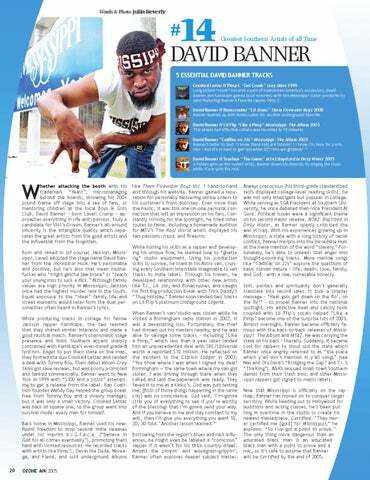 Now that Mississippi is officially on the rap map, Banner has moved on to conquer larger territory. While heading out to Hollywood for auditions and acting classes, he’s been putting in overtime in the studio to create his newest masterpiece, Certified. “They never certified me [gold] for Mississippi,” he explains. “So I’ve got a point to prove.” The only thing more dangerous than an educated black man is an educated black man with a point to prove and a mic, so it’s safe to assume that Banner will be Certified by the end of 2005.